The current generation of young people is faced with a double challenge: socially motivated youth are met with mass unemployment, precarious jobs and lack of inclusion on the job market. Cooperatives are convinced that they are the innovative answer rising up to the challenge, offering sustainable, participatory and socially responsible way of doing business for younger generations. But with a huge lack of knowledge and training of such model, young people are simply missing out. 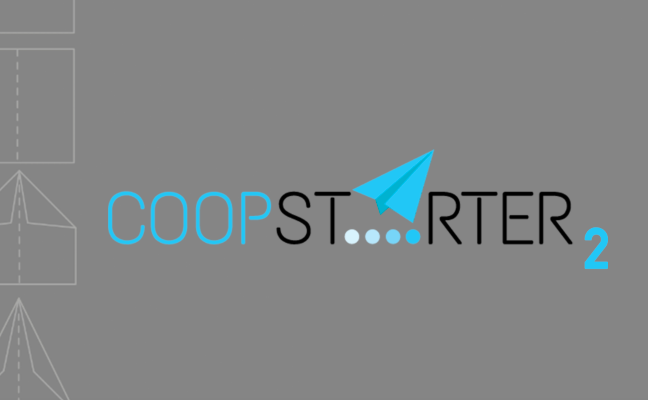 CoopStarter 2.0 project aims to mobilize the youth around cooperative entrepreneurship by bridging the knowledge and tool gap between youth organisations and cooperative associations. Building upon the previous CoopStarter project, the project will gather CoopMentors, youth workers, young ambassadors, trainers and EU-wide network representatives to be able to give the young the tools and opportunities to finally bring meaningful jobs and power over their own lives within reach. The partners of the project making it happen are Cooperatives Europe, Legacoop Liguria (Italy), Kooperationen (Denmark), K.A.P.A Network (Greece), Co-operativ College (UK), Promo Jeunes ASBL (Belgium), CJDES (France) and AEGEE (Belgium) and YECN (Young European Cooperators Network).